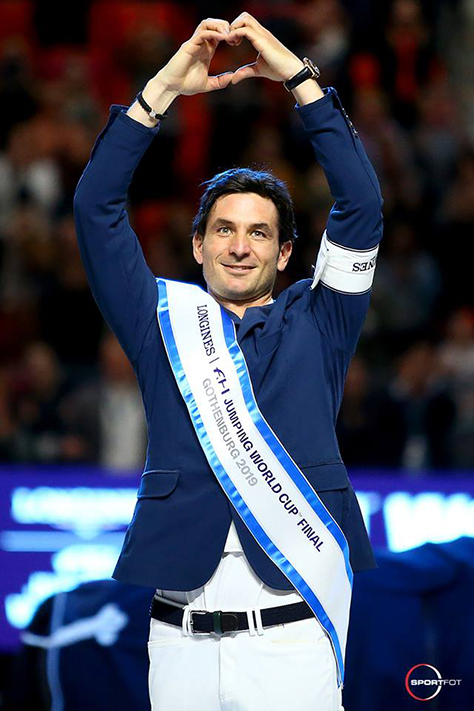 The Master, Steve Guerdat (SWI) rides to a 3rd triumph in the Longines FEI World Cup Final, this time riding Alamo. His teammate and friend, Martin Fuchs, takes the 2nd place on his fantastic Clooney 51 and Peder Fredricson make his home crowd very happy by rising on the 3rd place of the podium with Catch Me Not S.
The $500,000 Rolex CSI5* Grand Prix goes to McLain Ward (USA) & HH Azur to conclude the Winter Equestrian Festival 2019. Over an eight-horse jump-off, McLain beats his teammates, Kent Farrington on Gazelle and Lucy Deslauriers, riding Hester. After the Victory of Daniel Goldstein in the last CSI5* GP, it's another victory for Israel with a first place for Daniel Bluman on Ladriano Z in the $391,000 CSI5* Douglas Elliman Grand Prix. Karen Polle (JAP) & Sari sign the 2nd fastest double clear round and Beezie Madden (USA) takes 3rd place with Breitling LS. Samantha Cohen & Carmen dominate the CSI2* Grand Prix. McLain Ward, Wilton Porter, Adrienne Sternlicht & Beezie Madden offer victory to the USA in the 2019 Nations Cup at the Winter Equestrian Festival. Irish Pilots finish 2nd and Canada rises up on the 3rd place of the podium. David Oberkircher & Upper triumph in the Hermès Under 25 Grand Prix for the 2nd time in a row. Daniel Coyle & CHS Krooze finish 2nd and Ailish Cunniffe rides Baloucento 2 to 3nd place. The CSIO4* $209,000 Grand Prix goes to Samuel Parot & Atlantis, in fornt of Eve Jobs on Venue d'Fees des Hazalles and Juan Manuel Gallego & Coulash van de Broy Z.